This year, the Socio-Economic Panel is celebrating its 30th survey wave. In February 1984, interviewers rang the doorbells of SOEP survey respondents for the very first time. In that same year, the SOEP team at DIW Berlin began checking, preparing, and analyzing the survey data. What events have shaped the lives of people in Germany since then? What have SOEP researchers found out about how our society has changed? We will be publishing highlights from the last 30 years of SOEP history in a timeline series that will be updated every week. What events have shaped the lives of people in Germany over the last 30 years? What have SOEP researchers found out about the changes underway in our society? In this timeline series over the last 30 weeks, we have reported highlights of what has happened in the SOEP up to now, covering one year each week. It was 30 years ago that interviewers from TNS Infratest rang the doorbells of SOEP respondents for the very first time. They interviewed 5,921 households containing 12,245 adults, who also completed individual interviews, as well as 3,928 children. In 2013, 30,000 individual interviews were conducted in around 15,000 households. This year’s survey also included 2,500 households containing people with a migration background who are participating in a joint project by SOEP and the Institute for Employment Research (IAB) (Press release). Over the last 30 years, the SOEP has grown into the largest and longest-running panel study in Germany. To find out what’s still to come, stay tuned to our SOEP Facebook page and website! In early 2012, 32 people died when the Italian cruise ship Costa Concordia ran aground at Isola del Giglio in Italy. Across Europe, the still ongoing financial crisis drove people in many countries to the streets to protest their governments’ crisis policies. In Germany, Christian Wulff bowed to mounting pressure and stepped down from his post as the country’s leader, and in March Joachim Gauck was sworn in as the new federal president. In June 2012, the SOEP held its 10th SOEP User Conference in Berlin. At this event, more than 80 SOEP-based research papers were presented by scholars from all over the world. The main theme of the conference was the distribution of social resources. According to SOEP Director Jürgen Schupp, “Whether you look at employment, education and wealth, or personal satisfaction—opportunities are becoming more unequally distributed in our society” (D-Radio article (in German); homepage of the SOEP User Conference 2012). In December, representatives of the SOEP team and one of the interviewers from TNS Infratest Sozialforschung were invited to the official residence of the German president, Schloss Bellevue, where Federal President Joachim Gauck honored SOEP survey respondents for their social engagement as voluntary participants in the study (DIW press release (in German)). In 2011, amid mass demonstrations and armed violence, revolutionaries across the Arab world rid themselves of their totalitarian rulers at breathtaking speed: In January, Tunisia’s Ben Ali was ousted, followed by Hosni Mubarak in Egypt just a few weeks later and Libyan dictator Muammar Gaddafi in August (Spiegel article (in German)). In March of that year, the Tohoku earthquake and the tsunami that followed triggered a series of catastrophic meltdowns in several reactors at the Fukushima Nuclear Power plant in Japan. That summer was overshadowed by two terrorist attacks in Norway, leaving 80 people dead. All these events shocked and saddened people worldwide. But people’s lives are also defined by very personal events. How and to what extent major life events shape the human personality has been the subject of a new and growing body of psychological research based on the SOEP data beginning in around 2006. One study published in 2011 in the Journal of Personality and Social Psychology by psychologist Jule Specht from the Free University Berlin shows that dramatic life events have a significant effect on personality: Young adults become more conscientious when they start their first job. When people enter retirement, they become less conscientious. After marriage, most people’s openness to experience declines. When people go through separation or divorce, however, men in particular tend to become more open. (Specht, J., Egloff, B., & Schmukle, S. C. “Stability and change of personality across the life course: The impact of age and major life events on mean-level and rank-order stability of the Big Five.“ Journal of Personality and Social Psychology, Vol 101(4), October 2011, pp. 862-882). For the SOEP team, the year 2011 brought important personnel changes. On February 11, DIW Berlin’s Board of Trustees appointed then SOEP Director Gert G. Wagner Chairman of the Executive Board of DIW Berlin for a period of approximately two years. His previous Deputy Directors Joachim R. Frick and Jürgen Schupp took over as Interim Directors of the SOEP (more). One of the saddest events in the history of the SOEP occurred on December 16, 2011. On that date, Joachim Frick died at the age of 49 after a long battle with cancer. With his passing, the members of the SOEP team lost a warm-hearted and loyal friend; an esteemed, committed, and productive colleague; and an internationally recognized pioneer in comparative panel analysis (more). In February of 2010, Margot Käßmann, who had recently been elected the first female Chair of the Council of the Evangelical Church in Germany, took the risk of driving a short way home under the influence of alcohol. After running a red light, she not only lost her driver’s license but also stepped down from her post. In April, when the Icelandic volcano Eyjafjallajökull erupted, sending a plume of ash into the air across Europe, air control authorities avoided all risks and closed most of the European airspace. In December, Samuel Koch fell so severely in his risky attempt to jump over moving cars on spring stilts on the German television show “Wetten dass…?” that he was paralyzed and has remained so ever since. His tragic accident led to widespread public discussion about how much risk should be taken to increase television ratings. The SOEP has been measuring the risk propensity of people in Germany since 2004: On a scale ranging from 0 (= unwilling to take risks) to 10 (= very willing to take risks), respondents estimate their own risk propensity. The SOEP data show a number of interesting results: Men are more willing to take risks than women. Tall people have a higher risk propensity than shorter people. People whose parents completed academic-track secondary school are more likely to take risks than others. And, those who take risks are happier in their lives overall. These are the key findings of a study published in 2011 in the Journal of the European Economic Association by a group of researchers led by SOEP directors Gert G. Wagner and Jürgen Schupp together with experimental economists. (“Individual Risk Attitudes: Measurement, Determinants, and Behavioral Consequences.” Thomas Dohmen, Armin Falk, David Huffman, Uwe Sunde, Jürgen Schupp, and Gert G. Wagner. Journal of the European Economic Association 9(3) June 2011, pp. 522–550) (Press release (in German)). Another SOEP study on risk attitudes published in 2013 found that German Bundestag representatives have a higher willingness to take risks than German citizens (Heß, Moritz, Christian von Scheve, Jürgen Schupp, and Gert G. Wagner. 2013. Members of German Federal Parliament More Risk-Loving Than General Population. SOEPpapers 546 | PDF, 166.2 KB , press release (in German)). A total of around 30 studies have been published to date based on the SOEP data on risk attitudes. In June 2010, SOEP and TNS Infratest took part in the first “Long Night of the Sciences” in Berlin and gave visitors the chance for a truly hands-on experience of the SOEP grip strength test: in this test, SOEP interviewers study measure grip strength in order to obtain reliable estimates of respondents’ current health state (the 'Long Night' at the SOEP). Garbage collectors, security guards, and care workers: for more than 3 million workers in six low-income subsectors of the economy, Germany introduced a legal minimum wage in 2009. The German Bundestag had submitted the new minimum wage bill to the Bundesrat for approval in February 2009. On September 15, 2008, the US financial crisis began to spill over to the German economy: It was on that date that the fourth-largest US Investment Bank, Lehman Brothers, filed for Chapter 11 bankruptcy protection after the US government's refusal to rescue it. The bank's collapse led to an acceleration of the financial crisis and sent markets worldwide into freefall. The SOEP team reacted quickly and added a new item to its question on worries: “Are you concerned about the stability of financial markets?” The results of the survey: 49 percent of German citizens feared market instability. In West Germany, this concern was greater than in East Germany, and much greater among respondents with academic-track secondary education than among those with lower educational levels. In 2011, however, only 30 percent of German citizens reported concerns about unstable markets. “One ought not forget that the general population has become used to the crisis over the last few years, and the high expectations of stable financial markets have also declined,” said SOEP Director Jürgen Schupp to the German newspaper Die ZEIT (in German language). For the SOEP, 2008 was a very successful year. At the beginning of the year, the 25th survey wave went into the field (more information). In April, the SOEP department's research accomplishments were rated "excellent" in the German Council of Science and Humanities' "Research Rating in Sociology." This placed the SOEP among the top three best sociological research institutions in Germany (more information). And in December, the five-thousandth paper based on SOEP data was published: "Early Retirement in Germany, the Netherlands, and the United Kingdom: A Longitudinal Analysis of Individual Factors and Institutional Regimes" by Trudie Schils (European Sociological Review, Volume 24, Number 3, 2008, Page 315-329). 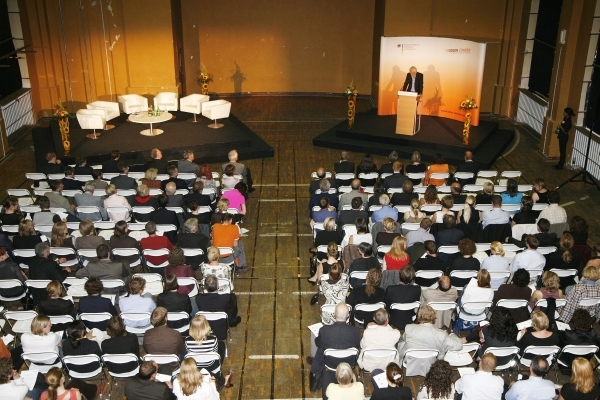 The SOEP's first quarter century was celebrated in Berlin's former Imperial Post Office in July of 2008 at an event that brought together renowned researchers and high-level politicians and policy makers for podium discussions about "Living in Germany." The night of March 5, 2007, a total lunar eclipse cast an orange-red glow across the moon—a spectacle that could be seen in many countries of Europe. From June 6 to 8, the heads of state and government of the seven leading industrialized nations and Russia met at the G8 Summit in Heiligendamm, Germany, to discuss a global environmental protection strategy and aid measures for Africa. And on September 1, a smoking ban went into effect in public transport, government offices, and train stations across Germany (Focus article (in German)). Did the smoking ban have any measurable effect on the behavior of people in Germany? Yes, according to a study by SOEP economists Silke Anger and Thomas Siedler together with a colleague from RWI published in the Journal of Health Economics in 2011. Their findings show that young urbanites have been smoking less since the ban: whereas around 40 percent of young adults smoked in 2006, this figure has gone down by three percentage points since the ban went into effect. In the population at large, however, the study found no overall reduction in nicotine consumption (Silke Anger, Michael Kvasnicka, and Thomas Siedler, 2011: “One Last Puff? Public Smoking Bans and Smoking Behavior,” Journal of Health Economics 30(3): 591-601, published as SOEPpaper 289 | PDF, 495.49 KB ). SOEP data can be used to analyze the smoking behavior of people in Germany from a wide range of different perspectives. A study published in the DIW Wochenbericht in 2010, for example, shows that children of divorced parents often start smoking earlier and smoke more frequently than their peers. According to Thomas Siedler, one of the authors, “Parental divorce during childhood in particular increases the risk of smoking.“ (Marco Francesconi, Stephen P. Jenkins, Quirin Schimeta, and Thomas Siedler, 2010: “Scheidungskinder rauchen mehr,” Wochenbericht des DIW Berlin 77 (34): 2-7). In a study published in 2012 as a SOEPpaper, SOEP researcher Jan Marcus reported that job loss often leads people both to start smoking and to gain weight (Jan Marcus, 2012: “Does job loss make you smoke and gain weight?” SOEPpapers 432 | PDF, 454.96 KB ). A revised version of the paper is forthcoming in the journal Economica. In late 2006, many mothers- and fathers-to-be hoped that their child would wait just a few more days to be born: The new “Elterngeld” parental benefit act was passed in late 2006, and went into effect on January 1, 2007, replacing the previous “Erziehungsgeld” (child-raising allowance). Since then, mothers and fathers who take parental leave generally receive 67 percent income replacement during the first year of their child’s life (ZEIT article (in German)). What effect has the new parental benefit system had on labor market and family policy in Germany? In 2006, DIW researchers C. Katharina Spieß and Katharina Wrohlich predicted, based on estimations using SOEP data, that the parental benefit would encourage mothers with young children to return to their careers earlier. They also emphasized that the effect could be even higher if the childcare options for children under the age of 3 were improved, especially in the West German states (C. Katharina Spieß and Katharina Wrohlich, 2008: “Mothers predicted to do more paid work as a result of reforms to parental leave benefits,” published in the SOEP Wave Report 1-2008: 29-33 | PDF, 3.66 MB ). A more recent paper confirms that Spieß and Wrohlich’s prognoses were on the mark: According to a study published in the DIW Wochenbericht in 2012, since the introduction of the parental benefit, labor market activity declined for women with children under the age of one, but mothers with children above that age had a higher chance of returning to their careers. This was especially true for mothers with low income and for mothers in East Germany (Johannes Geyer, Peter Haan, C. Katharina Spieß, and Katharina Wrohlich, 2012: “Elterngeld führt im zweiten Jahr nach Geburt zu höherer Erwerbsbeteiligung von Müttern,” Wochenbericht des DIW Berlin 79 (9): 3-10 | PDF, 236.23 KB ). In 2005, Angela Merkel became the first female Chancellor of Germany, and the people of Germany became Pope. “Wir sind Papst!” (“We're Pope!”) was the headline of the tabloid Bild-Zeitung on April 20, 2005, the day after Cardinal Ratzinger was elected the new leader of the Catholic Church. Benedikt XVI was the first German pope since Hadrian IV (1522 to 1523). At the closing ceremony of the World Youth Day in Cologne in August of that year, around a million of his followers came to see him (Photos of the Spiegel magazin). The question of how people in Germany feel about religion has been investigated by SOEP researchers since the beginning of the SOEP study. Richard Traunmüller from the University of Konstanz found that regular churchgoers have larger networks of friends and more contact with their neighbors than non-religious people (Richard Traunmüller, 2009: “Religion und Sozialintegration. Eine empirische Analyse der religiösen Grundlagen sozialen Kapitals.” Berliner Journal für Soziologie 19 (3): 435-468; prepublished as SOEPpapers 144 | PDF, 1.36 MB ). A study by Chemnitz sociologist Daniel Lois found that Germans become more and more religious over the course of their lives. According to Lois, “West Germans in particular attend religious services more frequently as they get older.” The number of services attended increases especially prior to marriage and before children start school. The religious habits of East Germans, however, do not change with family events (Daniel Lois, 2011: “Wie verändert sich die Religiosität im Lebensverlauf? Eine Panelanalyse unter Berücksichtigung von Ost-West-Unterschieden,” Kölner Zeitschrift für Soziologie und Sozialpsychologie 63: 83-110). Australian happiness researcher Bruce Headey found in a study with SOEP colleagues that religious practice is accompanied by higher life satisfaction (Bruce Headey, Jürgen Schupp, Ingrid Tucci & Gert G. Wagner, 2010: "Authentic Happiness Theory Supported by Impact of Religion on Life Satisfaction: A Longitudinal Analysis with Data for Germany," The Journal of Positive Psychology, 5 (1): 73-82, prepublished as SOEPpaper 151 | PDF, 299.45 KB ). In 2004, the “Monday Demonstrations” that had culminated in the peaceful revolution of 1989 in the GDR were revived again across Germany in protest against cuts in social programs and especially against the newly introduced Hartz IV labor market reforms. To what extent these reforms had touched a nerve in the German population can be seen in the naming of “Hartz IV” as the word of the year by the Association for the German Language. In May, Federal President Johannes Rau stepped off the political stage with a speech entitled “Trust in Germany.” “Never have so few people in Germany trusted the policies of an administration,” he said, “and never have so many also believed that the opposition could do better” (Spiegel article - in German). A special SOEP survey published that year in the DIW-Wochenbericht showed that there were indeed signs of a crisis of trust in Germany. According to the study, people had lost much of their trust in politics, and had also lost trust in major companies and labor unions. More than 90 percent of respondents, however, reported trusting family and friends. (Jürgen Schupp and Gert G. Wagner “Vertrauen in Deutschland: Großes Misstrauen gegenüber Institutionen”, Wochenbericht des DIW Berlin 71(21): 311-313 (press release - in German). 2004 was also the year when the SOEP launched SOEPmonitor. The most important function of the Monitor is to provide figures that can serve as benchmarks for SOEP users to evaluate the results of their own research (SOEPmonitor website). “We will be forced to cut state benefits, promote personal responsibility, and demand higher personal contributions from each individual." With these words, Chancellor Gerhard Schröder announced the introduction of Agenda 2010 in speech before the Bundestag on March 14, 2003, up to then the largest labor market reform in the history of the Federal Republic of Germany. His plan was to restructure the social system, to cut payroll taxes to below 40 percent and make the labor market more flexible – by deregulating temporary work, among other things (DW article (in German) and ARD article (in German)). To this day, commercial temporary work is controversial, in part because temporary workers earn less than other employees. In DIW-Wochenbericht 46 economists Axel Werwatz and Michael Kvasnicka used SOEP data to provide the first methodologically sound estimation of the wage gap between temporary and permanent workers. The results showed that temporary workers do indeed exhibit a significant wage gap, but that it is 50% lower than previously assumed. (Kvasnicka, Michael und Werwatz, Axel (2003). Arbeitsbedingungen und Perspektiven von Zeitarbeitern. Wochenbericht des DIW Berlin 70(46): 717-725 | PDF, 0.72 MB ). For their study, Werwatz and Kvasnicka were honored with the award for the best DIW Berlin Wochenbericht in that year. The SOEP had a lot to celebrate in 2003: at the SOEP Anniversary Conference, entitled "Past Achievements and Future Prospects of Household Panel Studies from Interdisciplinary and Cross-national Perspectives" in the historic location of Rathaus Schöneberg in Berlin, the SOEP celebrated its 20th survey wave. Gert G. Wagner with former Governing Mayor of Berlin Walter Momper. Conference reception with 'Anniversary' presents. In the early hours of New Year’s Day, 2002, cash machines across Germany and many countries of Europe began dispensing the first euro banknotes: and with that, the euro became the currency used by more than 300 million people. The new currency had been introduced to world financial markets as an accounting currency in 1999. In Germany, where the euro replaced the stable deutschmark, the euro was initially referred to derisively - in a play on the word “teuer,” meaning expensive - as the “Teuro”(Spiegel article (in German)). Later that year, in the thirtieth issue of the DIW-Wochenbericht, SOEP researchers Bettina Isengard and Thorsten Schneider investigated the attitudes of people in Germany toward the new currency. The SOEP data showed that around half (56%) of all respondents had concerns related to the introduction of the new currency. Yet 70% of people in Germany believed that the euro would promote European unification. Taking these findings together, it appears that people expected the new currency to produce more political than economic benefits (Wochenbericht des DIW Berlin Nr. 30/2002 | PDF, 220.66 KB ). Almost no one at that time could have foreseen that the euro itself would become a cause for serious concern. That would change dramatically in 2009, when the global banking crisis led to high government debt in the euro-zone countries. In 2002, the SOEP held its Fifth SOEP User Conference at the Berlin-Brandenburg Academy of Sciences. September 11, 2001, changed the world: Islamic terrorists flew two hijacked airplanes into the twin towers of the World Trade Center. Television viewers worldwide followed the collapse of the buildings in real time. A third plane hit the Pentagon, and a fourth crashed in Pennsylvania. Together, these attacks cost around 3,000 Menschen their lives (Spiegel article (in German)). What did 9/11 mean for the lives of people in Germany? A study by economist Simone Schueller from the Institute for the Study of Labor (IZA) shows that the attacks of September 11 changed Germans’ attitudes about immigration. Following the terrorist attacks, people in Germany were more concerned about immigration than before and, at the same time, less concerned about issues of xenophobia and racism. This was particularly true of people with lower levels of education (SOEPpapers 534 | PDF, 345.35 KB ). A study published in the DIW-Wochenbericht in 2008 by then-DIW researcher Cathérine Mueller showed that seven years after the September 11 attacks, people in Germany were more concerned about global terrorism than about their own personal financial situations. Women and the elderly, as well as less educated people, were especially concerned (Study by Mueller (in German) | PDF, 165.69 KB ; Study by Mueller and Brück | PDF, 376.07 KB and Article on worries about terrorism (in German)). The prophets of doom were wrong: the world did not end at the turn of the millennium, and even the widespread computer breakdowns predicted by experts did not come to pass (Spiegel article (in German) and Cartoon). In June of that year, Federal President Johannes Rau opened the EXPO 2000 in Hanover, the first World’s Fair in Germany, with the theme of “Humankind, Nature, and Technology - A New World is Emerging”. For the SOEP, the year 2000 brought good news: the number of surveyed households was almost doubled to approximately 6,000. This means that as of the following year, 2001, SOEP users could use around 13,000 households for their analyses. This sample extension was made possible by the BMBF-funded Innovation Sample (sample F). The sample was drawn to enable better analysis of small subgroups of the population through a larger case number (outdated html version (in German)). In July of that year, the Fourth International SOEP Conference took place in Berlin at the Wissenschaftszentrum Berlin (WZB). The first SOEP Best Publication Prizes were awarded here for outstanding papers based on SOEP data (Best Publication Prize). The winners of the first prize for the best publication were David M. Blau and Regina T. Riphahn, who studied how married couples coordinate their entry into retirement. Their findings: husbands tend to work longer when their wives are still working, and wives tend to stop working when their husbands are already retired. (David M. Blau, University of North Carolina, and Regina T. Riphahn, Ludwig-Maximilians-Universität Munich: "Labor force transitions of older married couples in Germany" (Download: IZA DP No. 5), published 1999 in Labour Economics). In May of 1999, the German Bundestag passed the new nationality law with a large majority. Since this legal reform, German-born children of immigrants have been able to acquire German citizenship. They do, however, have to decide whether they want to retain German citizenship or that of their mother or father by the time they turn 23 (Spiegel article (in German)). Who can become German and who can’t? A study by SOEP immigration expert Ingrid Tucci and co-author Claudia Diehl from the University of Göttingen published in the DIW Wochenbericht in 2009 shows how Germans’ attitudes towards immigration and naturalization have changed over the years since 1999. According to the study’s findings, in 1999 more than one-third of all German citizens without an immigration background reported being “very concerned” about immigration. Ten years later, only one-fourth of respondents expressed this level of concern (interview with Ingrid Tucci (in German)). The study also showed that more and more German citizens without an immigration background (“Germans”) feel that behavior should be the determining factor in naturalization. Fewer Germans consider “ethnic German descent” to be the decisive criterion. For their study, the researchers used SOEP data as well as data from the ALLBUS German General Social Survey (outdated html version (in German)). In February 1998, around 40,000 people in as many as 200 German cities took to the streets to demonstrate against high unemployment. The protests were sparked by labor market figures released in January showing that unemployment had reached 12.6 percent (Video ZDF (in German)). What does unemployment mean for the individual? In a SOEP study published in 1998, economists Liliane Winkelmann and Rainer Winkelmann were able to show that job loss makes people unhappy, and that the detrimental effect on satisfaction cannot be explained by the loss of income alone. The article is among the most frequently cited SOEP studies. Winkelmann, Liliana and Rainer Winkelmann (1998): Why are the unemployed so unhappy? Evidence from panel data. Economica, 65 (257): 1-15. To address the issue of widespread unemployment, experts including Sociologist Ulrich Beck, head of the Commission for Future Questions of the Free States of Bavaria and Saxony, proposed that volunteer work as an alternative to paid work (Spiegel article (in German)). A SOEP study published in the DIW-Wochenbericht, however, showed that the men and women reporting involvement in volunteer work in Germany were mainly doing so in addition to paid work, whereas people without a job rarely engaged in volunteer work. The authors’ conclusions: volunteer work is not a sensible means of reducing unemployment. 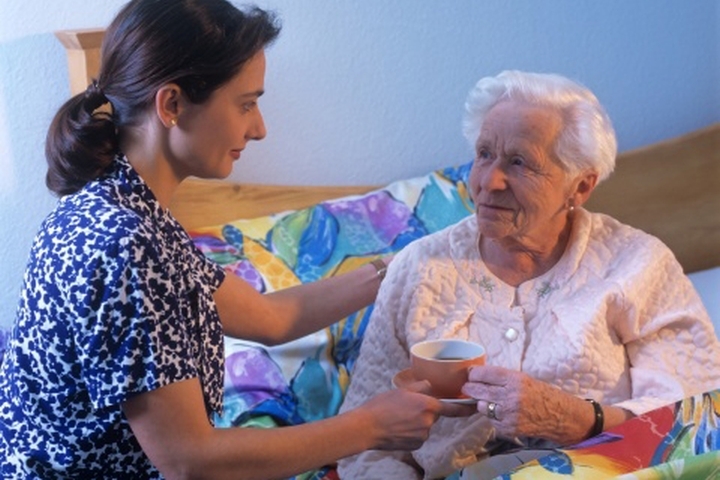 After all, why should the state offer volunteer work to people who don’t want it? And why should the public need for infrastructure and social services be covered by volunteer work? (Schwarze, Johannes; Gert G. Wagner; Marcel Erlinghagen and Karin Rinne (1998): Bürgerarbeit - Kein sinnvoller Weg zur Reduzierung der Arbeitslosigkeit. Wochenbericht des DIW Berlin, 65 (4): 82-85; outdated html version (in German)). It was a once-in-a-century event for onlookers worldwide when the comet Hale-Bopp streaked across the Easter night sky like a blazing egg, leaving a long trail of light behind it. People the world over were also deeply affected by the death of Princess Diana in an automobile accident that August. In Germany, public debate flared over efforts to introduce compulsory social insurance contributions on "610-mark jobs"-jobs of fewer than 15 hours per week with pay of no more than 610 marks per month, which were not subject to taxes, unemployment insurance, social security contributions, or other social taxes. In 1997, mini-Jobs were still barely covered in the official statistics. The SOEP contributed to the public discussion of this highly controversial issue of labor market and social policy by providing current data. In a DIW Wochenbericht based on the SOEP data, Volker Meinhardt, Jürgen Schupp, Johannes Schwarze, and Gert G. Wagner made the bold prediction that the number of employees in Germany was underestimated by 2 million ("Erwerbsstatistik unterschätzt Beschäftigung um 2 Millionen Personen," Jürgen Schupp, Johannes Schwarze, Gert G. Wagner, DIW Wochenbericht no. 34, 1997, pp. 689-696 (outdated html version (in German)). Shortly thereafter, the federal statistical office corrected its official employment figures accordingly. In another study published as a DIW Wochenbericht, Volker Meinhardt, Jürgen Schupp, Johannes Schwarze and Gert G. Wagner addressed the introduction of compulsory social insurance contributions for 610-mark jobs and the elimination of the lump sum tax in Germany (DIW Wochenbericht no. 45, 1997; (outdated html version (in German)). Their conclusion: introducing social insurance contributions on these jobs would only be sensible if the lump sum tax on employers were simultaneously eliminated. In the authors' view, this would help to compensate employers for the additional costs. And, in the 38th SOEP Newsletter, the SOEP team announced the first in a series of SOEP collectibles-planned eventually to comprise a box set of "SOEP devotional objects"-now available for SOEP users to purchase. The limited-edition SOEP clock in "classic CD style" was, according to the newsletter, "the perfect accessory for creative and successful work (not only) with the SOEP data." In 1996, Dolly the sheep was born as the first mammal to be cloned successfully and to survive to adulthood. Germany claimed its third European Championship in soccer with a team lead by former GDR national team player Matthias Sammer (Video: Interview Sammer (in German)). And after Germany’s “Sunday baking ban” on commercial bakeries was lifted, people across Germany were finally able to buy fresh breakfast rolls on Sundays. That same year, the SOEP made its first regional indicators available to data users (Regional Data in the SOEP Data Set). These indicators on the levels of the states (Bundesländer), spatial planning regions, districts, and postal codes could now be linked with the SOEP household data. Through the linkage of SOEP data with regional data from the Federal Environment Agency, educational economist Katharina Spieß found that increased carbon monoxide exposure as well as increased ozone exposure can harm children even before they are born (Focus article reffering to the study by Spieß (in German)). Economists Conrad Burchardi and Tarek Hassan determined that after the end of the GDR, economic power increased in regions where large numbers of West Germans had had close relationships with East Germans. And in the year 1996, Volume 7 of the SOEP book series “Socio-Economic Data and Analyses on the Federal Republic of Germany” appeared: a reader on social reporting from a longitudinal perspective. It was compiled and edited by Wolfgang Zapf - one of the two founders of the SOEP study and the pioneer of German social indicator research - together with Jürgen Schupp and Roland Habich. In the 17 articles contained in the reader, authors sought to establish a stronger connection between long-term observation and theory-driven analysis and to make the SOEP known to a broader German-speaking research community. Zapf, Wolfgang; Schupp, Jürgen und Habich, Roland (1996): Lebenslagen im Wandel: Sozialberichterstattung im Längsschnitt, Frankfurt/M. - New York: Campus. In 1995, the number of Internet-connected computers worldwide reached over three million. Since the previous year, the number of commercial Internet users had surpassed the number of scientific users. That year at a workshop at the Swiss institute CERN (European Organization for Nuclear Research), where the World Wide Web was born, 250 journalists from across Europe learned an innovative new research method: that of "surfing the Internet." In the United States, E-bay was founded, and has since remained the largest online auction and shopping website worldwide. And here in Germany, brothers Michael and Matthias Greve created the first German Internet directory at the address http://web.de. When it was launched, web.de already listed 2,500 sites that could be searched by keyword, name, or category. In early 1995, the SOEP Newsletter went online for data users worldwide. SOEP Newsletter number 27 from January 1995 explained in detail how to use the SOEP’s new information platform: "At the DIW homepage on the World Wide Web, you will find what is known as a ‘link’ to the SOEP," the newsletter reads. "There, we provide extensive general information about the project, lists of publications and data users, as well as the current issue of the SOEP Newsletter. Users are also ‘guided’ to the relevant e-mail addresses in the project group." The contact listed for questions or suggestions about the SOEP’s use of this new technology was then-Survey Manager and current SOEP Director Jürgen Schupp. His e-mail address at that time was: DIW238PS@DB0DIW11.DIW-BERLIN.DE. Extract from the SOEP Survey Paper 130 . The SOEPnewsletter has been informing SOEP users about events, new publications by SOEP researchers, workshops and training programs, and new developments in data distribution four times annually since 1985. Current information on the SOEP Newsletter can be found here. The old newsletters have been published as SOEP Survey Papers. 1994 was also the year that the SOEP had its first evaluation by the German Council of Science and Humanities (Wissenschaftsrat). At stake in this evaluation was the future funding for the SOEP after the conclusion of funding in the framework of Collaborative Research Center SfB 3. In the evaluators’ report, they emphasized that the SOEP had become an important tool for social and economic research both within Germany and abroad. They wrote that the SOEP would provide outstanding empirical material for longitudinal studies and for the analysis of economic and social science questions. And, they recommended that the SOEP group should continue to receive funding and should be provided a secure institutional base as an independent department of DIW Berlin. Furthermore, they proposed that the SOEP should receive joint funding from the federal and state (Länder) governments as a service unit of “Blue List” (Blaue Liste) research institutions. Three years later, the Blue List evolved into the Leibniz Association (WGL), of which the SOEP is still a part to this day. The year 1993 brought with it a series of changes for life in Germany: five-digit postal codes were introduced, and a small refrigerator factory from the former GDR, together with Greenpeace International, produced the first HFC-free refrigerator in the world (see Greenpeace-Blog). And that same year, Heide Simonis was elected Minister President of Schleswig Holstein, making her the first woman to serve as Minister President of a German Bundesland. In the Socio-Economic Panel, the tenth survey wave was collected in 1993, and the first International SOEP User Conference was held to celebrate this milestone. On June 7 and 8, 1993, 30 researchers from around the world met in the old headquarters of the German Academy of Sciences in Berlin on Gendarmenmarkt (in the former East Berlin) and presented their research on the SOEP data. Many of the papers were internationally comparative studies based on the new Cross-National Equivalent File (CNEF), a project that had been initiated in the early 1990s by Prof. Richard Burkhauser. Among the presenters at the first conference was American economist Alan Krueger from Princeton University, who, together with co-author Jörn-Steffen Pischke, had used the SOEP data in a study on the East and West German labor markets before and after unification. Krueger went on to become an advisor to US Presidents Bill Clinton and Barack Obama. The current chairman of the German Council of Economic Experts, Christoph M. Schmidt, also presented a SOEP-based analysis of return immigration to Germany at the conference. Since its premiere, the SOEP User Conference has been taking place regularly every two years. A total of around 600 studies have been presented at the ten SOEP conferences to date, and ten volumes of conference proceedings have been published in two different specialist journals: first in the DIW-Vierteljahrsheften zur Wirtschaftsforschung, and then in the Journal of Applied Social Science Studies (Schmollers Jahrbuch). Although it was officially not allowed, many GDR citizens preferred to watch West German television. But for around 15 percent of the GDR population – those residing in the northeast part of the country around Greifswald and in the southeast around Dresden – it was impossible to pick up West German TV signals due to the topography. How did reception of East and West German television affect the personal attitudes of East German citizens? To find out, SOEP researcher Tanja Hennighausen of the Centre for European Economic Research (ZEW) and the University of Mannheim analyzed GDR survey data from the late 1980s along with SOEP data from the 1990s. Her results show that East Germans who were able to receive West German television tended to believe that success in life depends more on effort than on luck. This effect was still apparent ten years after reunification. In her study, Hennighausen speculated that this was because of ideas portrayed in West German films and soap operas that tended reinforce the notion that success in life is related to effort, thus affecting viewers’ attitudes. Tanja Hennighausen: Exposure to Television and Individual Beliefs: Evidence from a Natural Experiment, SOEPpaper 535 | PDF, 513.11 KB . The influx of refugees from the former Yugoslavia was also reflected in the development of the SOEP sample. Not only did the number of immigrants from Yugoslavia increase, but the net case number in the SOEP immigration subsample increased as well over the previous year. Since its inception, the SOEP study has included a special immigration sample (subsample B) of households with a household head from Turkey, Italy, Spain, Greece, or the former Yugoslavia. The SOEP is the largest longitudinal survey of foreigners in the Federal Republic of Germany today. Research based on the SOEP data has shown, among other things, that immigrants often live in segregated communities for both economic and social reasons. Researchers have also found that immigrants develop a connection to one of the German political parties relatively soon after coming to Germany. And they have shown that the German educational system tends more to restrict than to foster the potential of second-generation immigrants. Today there are more than 15 million first- and second-generation immigrants living in Germany; the number of new immigrants has risen significantly over the last several years. To gain a clearer picture of these people’s lives, the SOEP is working together with the Institute for Employment Research (IAB) in Nuremberg to start a new IAB-SOEP immigration sample that will be representative for this population group. Starting this year, a total of 2,500 households with an immigration background across all of Germany will be surveyed as part of this new sample. The researchers in the SOEP were also determined to seize this historic opportunity. They set aside the idea of adding a new sample of East German immigrants to the FRG to the SOEP longitudinal sample. After all, the rapid changes taking place in Germany would have quickly rendered such a sample obsolete. Instead, the SOEP team quickly set plans in motion to create a GDR panel. Their goal was to obtain a first baseline measurement of incomes in the ‘old’ GDR currency. By early April, the SOEP group, together with colleagues from the Institute for Sociology and Social Policy at the German Academy of Sciences in the GDR had developed a first integrated questionnaire, which they used to survey 50 households in East Berlin. (SOEP 1990 – Bericht über eine Vorerhebung für die "Basiserhebung 1990" des Sozio-ökonomischen Panels in der DDR (Pretestbericht)). Now, in the almost 23 years since reunification, has former Chancellor Willy Brandt's vision that "what belongs together now grows together" been realized? In 2010, SOEP researcher Peter Krause and Ilona Ostner, a sociologist at the Georg-August-Universität Göttingen, published the most comprehensive social scientific overview of German unity to date. According to their findings, after reunification, living conditions in East and West Germany converged quickly. For example, the percentage of single parent households in both parts of Germany rose, and the number childless and single households increased as well. Life satisfaction in East Germany increased substantially in the 1990s but still remained a significantly lower than that in the West. "Differences between East and West still exist in many areas," says Peter Krause. "But they depend much more on the concrete living conditions in a specific place than on whether people or their parents lived on one or the other side of the inner-German border." The researchers' findings were published in an anthology (in German) and some articles from this book were published separately as a DIW-Wochenbericht. Anthology: Krause, Peter und Ilona Ostner (2010). Leben in Ost- und Westdeutschland: Eine sozialwissenschaftliche Bilanz der deutschen Einheit 1990-2010. Frankfurt a. M./New York: Campus. On November 9, 1989, the heavily mined border between East and West Germany was suddenly opened, taking the world by surprise: it was the day the Berlin Wall came down. That night, the people of East and West Berlin met at the Wall, cheering, embracing, and celebrating together. And the so-called “Mauerspechte” (wall-woodpeckers) began chipping away at the Wall to destroy this powerful symbol of Germany’s 40-year division. The opening of the borders between the two German states triggered a wave of mass migration: in the first two years after the fall of the Wall alone, 400,000 people left the GDR each year (Tagesschau vom 10. November 1989 DDR öffnet Grenze am 9. November 1989 ; 2 videos in German language). Just a few months earlier, on July 1, 1989, Gert G. Wagner had taken over as Director of the Socio-Economic Panel after SOEP-founder Hans-Jürgen Krupp left DIW Berlin to become Hamburg’s Senator of Finance. The SOEP and its new director now faced new and daunting challenges: the mass migration from the GDR meant that the SOEP data were now no longer representative for the entire West German population. How could this wave of immigration be captured in the SOEP as quickly as possible? And how could and should SOEP researchers use this historic opportunity to collect data on the process of social transformation in the GDR? Up to 1989, the idea of a survey covering both East and West Germany was virtually inconceivable – almost as inconceivable as the idea of German reunification (see also Gert G. Wagner (2009): The German Socio-Economic Panel (SOEP) in the Nineties: An Example of Incremental Innovations in an Ongoing Longitudinal Study. SOEPpaper 257 | PDF, 515.1 KB . In early 1988, East German figure skating star Katarina Witt won two Gold medals for the GDR at the XV Olympic Games in Calgary. East Germany finished second in the final medal rankings, with 37 gold medals and 102 medals overall, and West Germany won a total of 40 medals, finishing fifth overall. It was the last year that East Germany competed in the Olympic Games as an independent nation. The athletic achievements of Witt and the East German team were emblematic of a culture of athletic achievement in East Germany. In West Germany, since the educational expansion of the 1970s, health consciousness and physical activity had also been rising among the general population, as the SOEP data show. And according to one of the first SOEP articles published on the link between health and happiness in the BRD, the rise in health consciousness was also paralleled by an increase in reported happiness. This was the central finding of researchers Bruce Headey and Peter Krause in their paper "A Health and Wealth Model of Change in Life Satisfaction: Analysing Links between Objective Conditions and Subjective Satisfaction". There are now almost 50 papers on the topic of sports in our archives of SOEP-based publications; one notable publication in a prestigious journal is that of Michael Lechner from 2009, "Long-run labour market and health effects of individual sports activities", Journal of Health Economics 28: 839-854 (https://www.alexandria.unisg.ch/export/dl/69769.pdf). Meanwhile in 1988, a sweeping income tax reform was in its first stages of implementation in Germany. The reform was described by some as the major tax reform of the century, aimed both at reducing payroll and income taxes and at cutting taxes for families with children. It was also one of the most controversial, as evidenced by opposition from both the poor and the very wealthy. But what were the actual effects of this three-stage reform on the income distribution? The SOEP data, collected starting in 1984, offered an outstanding empirical basis for answering this question. In the 1988 paper "Distributional Effects of the Income Tax Reforms 1986-1990: A Simulation Study for the Federal Republic of Germany based on the Socio-Economic Panel" published in German in the journal Finanzarchiv, authors Ulrich van Essen, Helmut Kaiser, and P. Bernd Spahn made an important contribution to the policy debate by simulating the effects of all three reform stages on the income distribution. Their study showed wide variation in the effects of the reform depending on the socio-economic status of the taxpayers, with factors such as number of children and marital status playing a major role. Overall, the study revealed a more unequal income distribution following the tax reform, that is, an upward redistribution of wealth. Theirs was the first study to provide policy recommendations on a German income tax reform based on SOEP data. In June of 1987, US President Ronald Reagan traveled to Berlin to commemorate the city’s 750th anniversary. In his speech in front of the Brandenburg Gate, he challenged Soviet Union leader Mikhail Gorbachev to “Tear down this wall!” and proposed holding a future Olympic Games in both parts of the city. That September, Erich Honecker became the first East German leader to make an official visit to West Germany, and in Moscow, Perestroika was becoming the driving force for social change. As the two parts of Germany were slowly growing closer, SOEP researchers were beginning to use the newly collected micro-longitudinal data to gain a clearer picture of the lives of people in West Germany. Ute Hanefeld, then a research associate in the SOEP at DIW Berlin, had played a major role in the panel, advocating and promoting the project in the Cooperative Research Center from 1982 on and ensuring the successful start of the study. In 1987, her book on the design and conception of the Socio-Economic Panel study was published by Campus Verlag. And in that same year, the efforts outlined in Hanefeld’s book began to bear fruit. Researchers outside the DIW were now using the SOEP data to an increasing degree. One example is the 1987 Data Report, published by the Federal Statistical Office in cooperation with the Cooperative Research Center 3 at the Universities of Frankfurt am Main and Mannheim. The main objective of this publication was to present objective and subjective indicators describing the quality of life in Germany. The SOEP is still involved in the Data Report, which has been published biennially since 1985. Please find the recent Data Report as well a link to the older ones online available at the webpage of the Statistical Office. It was the worst nuclear accident in history. 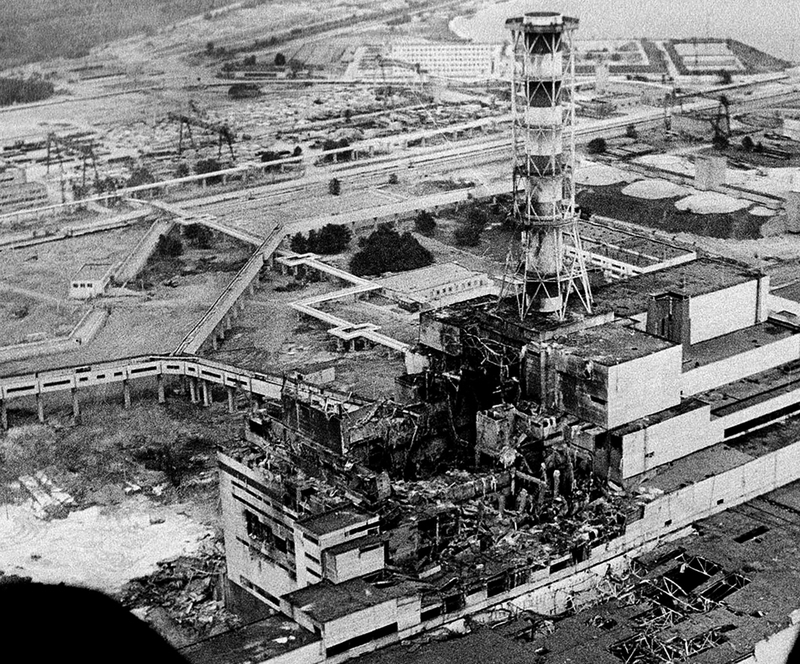 On April 26, 1986, at 1:23 a.m., reactor four at the Chernobyl Nuclear Power Plant in Ukraine suffered a catastrophic power surge, leading to a core meltdown that spewed 60,000 kilograms of highly radioactive fallout into the atmosphere. The results were cataclysmic: thousands of deaths resulting from exposure to radiation, hundreds of thousands of hectares of land severely contaminated, and economic impacts reaching into the billions of dollars. The nuclear catastrophe at Chernobyl made a significant impact on the environmental concerns of the German population, as shown in a study by former SOEP researcher Eva Berger | PDF, 327.72 KB . The percentage of SOEP respondents reporting serious concerns about the environment had already increased by 9 percentage points in May 1986, and by spring of 1987 by as much as 14 percentage points. Only over the course of the 1990s did environmental concerns gradually subside. One possible explanation, according to SOEP researchers, is that worries about rising unemployment in Germany had begun to take precedence. And in 1986, the SOEP’s second three-year funding period began as subproject B5 of Collaborative Research Center 3 “Microanalytical Foundations of Social Policy.” The German Research Foundation approved two additional positions for scientific staff, who were to develop statistical procedures to estimate missing values and impute the data. For the documentation and graphical presentation of the panel results, a 16-bit personal computer system with MS DOS was purchased with 640 Kb RAM, two 360 Kb floppy disks, one 10 Mb hard drive, and a green display – for the tidy price of 17,800 DM. In 1985, Boris Becker became the first German to win the Grand Slam tournament at Wimbledon; a tennis-shoe-wearing Joschka Fischer was sworn in as Minister for the Environment in the Landtag of Hesse; and the first German soap opera, "Lindenstraße" (Linden Street) appeared on German television. Over the last almost 30 years, scarcely a single major social issue has gone unaddressed in this groundbreaking series, from unemployment and poverty to coexistence with immigrants, contemporary forms of family, and the environmental movement. "I think that Geißendörfer [the creator of the series] and his writers have a good eye for social trends," said SOEP Director and professed Lindenstrasse fan, Jürgen Schupp, in a recent interview with the German daily newspaper Die Welt. Another premiere took place in 1985 as well. In April of that year, the first SOEP-based scientific study was published. Social scientist Christoph F. Büchtemann, a member of the SOEP group from 1983 to late 1984, published his empirical investigation of the much discussed issue of "the new poverty" based on data from the first wave of the SOEP survey. Appearing in the series "Mitteilungen aus der Arbeitsmarkt- und Berufsforschung," his findings showed that contrary to widely held beliefs, most unemployed people in West Germany were well protected financially by federal unemployment insurance benefits. Only a small minority, approximately 7 percent of the population, were in extreme poverty. Christoph F. Büchtemann: Soziale Sicherung bei Arbeitslosigkeit und Sozialhilfebedürftigkeit - Datenlage und neue Befunde. Mitteilungen aus der Arbeitsmarkt- und Berufsforschung (MittAB) 18 (1985), no. 4, 450-466. The year 1984 brought a number of firsts to the people of Germany: seatbelts became compulsory for backseat passengers; IBM introduced the IBM Personal Computer/AT, which became standard in German offices for the next decade. Commercial television was launched, and Richard von Weizsäcker was elected President of Germany. And in that same year, interviewers from TNS Infratest rang the doorbells of SOEP survey respondents for the very first time. In the first wave of the SOEP survey, 5,921 households were interviewed, with 12,245 adult respondents and 3,928 children living in them. “Our concept was new and revolutionary,” said Hans-Jürgen Krupp, founder and former director of the SOEP study, in a recent interview. “We wanted to have longitudinal data, (…) to combine economic and social data, and we wanted to include foreigners.” The initial plans were modest: to obtain five years of funding. It was almost inconceivable that the SOEP would one day become the most important longitudinal study for the analysis of social change in Germany. The first questionnaires in the SOEP Survey Paper 8. A short film from Teer+Feder. The last 30 years of SOEP history in a timeline series.